A Doula is a trained, non-medical, emotional and physical labour support person who assists you and your family during your labour, birth, and early postpartum period. 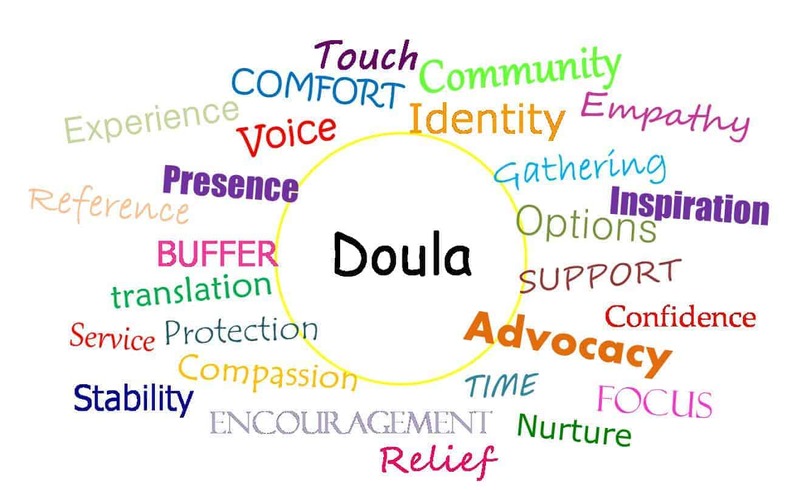 To learn more about what a Doula is, read our blog post HERE that answers this more in depth. 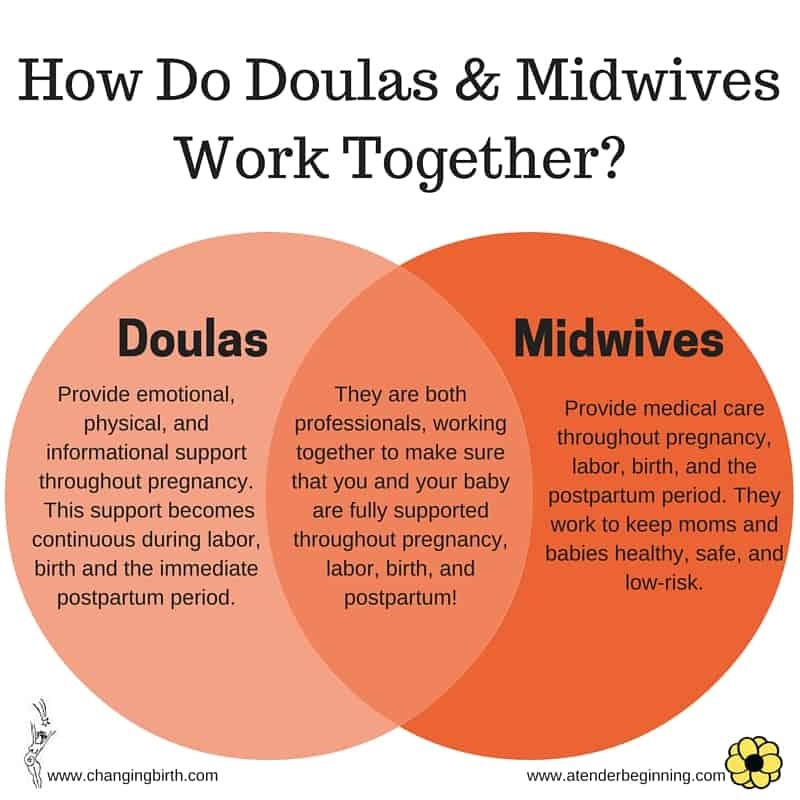 How is a Doula different from a midwife or other medical caregivers? A Doula offers emotional, physical and informational support for their clients. A midwife offers many of these same qualities, however it is the midwife that will deliver the baby and perform the necessary medical examinations throughout pregnancy, labor, delivery and postpartum. A Doula does not do any medical checks or procedures (such as fetal heartbeat checks, blood pressure checks, vaginal exams etc). Depending on your labour, your Doula usually arrives at your birth before your midwife does. You can call on your Doula to come to your birth place whenever you feel you need her whereas a midwife attends to your needs once you are in active labour. How does a Doula work with partners or other labour support people? Bronwyn and Melissa see their role as working with both mom and partner (or other labour support people such as close friends or family members that you want to be present) before, during, and after labour. During prenatal sessions we help our clients try different positions and natural pain management techniques so that you have a good idea of what works for mom and how partner can support her. During birth we make sure that both mom and partner are staying hydrated, nourished, and that partner is able to take breaks as needed. 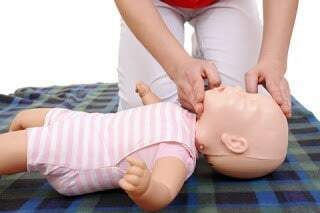 If the partner is nervous or unsure of what is happening with mom we can offer explanations and reassurance. By having a Doula the partner can participate in the birth as much as he or she feels comfortable while making sure that mom feels supported through the whole experience. During the postpartum period Bronwyn and Melissa are able to help partners process the birth experience if they need, give tips on supporting mom with breastfeeding, and teach about baby care. Some of the partners we have worked with before have felt initially skeptical about having a Doula. All of them have later shared with us how helpful it was to have her with them during the labour. What sorts of things does a Doula do during birth that helps me? As a Doula, we have two “toolboxes”. One is our Doula bag that has massage tools, rebozo scarves, essential oils, a TENS machine, and many other items that can offer natural pain management. Our other “toolbox” is our knowledge of birth, different positions and movements you can use to get through labour, mindfulness and breathing techniques, and ways to reassure mom and partner if needed. What we use at a birth from these toolboxes is different and unique to each experience. We may crack jokes with one couple while massaging moms lower back, and sing lullabies and give foot rubs at the next birth. Can I hire a Doula for only the birth, not the pre and postnatal appointments? We do not offer discounts or variations from our packages because on-call time is the same whether we offer pre and postpartum care. It is very important for our standard of care to include the prenatal appointments as we practice what labour will look like and this gives our doula team, as well as the clients, a good sense of what works specifically for them. This eliminates guess work during the actual labour. It is also valuable to have the postpartum care to help support you in whichever way you may need while you get to know your new baby. Will my insurance benefits cover Doula fees? You will need to check your insurance package. Many benefits programs that have flex packages will cover all or a portion of the Doula fees. We always ask that clients submit our invoices anyways as the more often that insurance companies see this as a need the sooner it will be included in benefits packages. Doulas are not regulated in Canada. However most Doulas are trained and certified by recognized organizations. Bronwyn’s training is through Birth From Within and she is currently enrolled in their advanced certification program. Bronwyn achieved her childbirth mentor training with them in April of 2016. She has taken additional training through DONA International. She is also a certified Dancing For Birth TM instructor. Melissa has been certified through the Nesting Instinct Program and has taken additional training in Reiki, as well as currently studying to be an RMT. You can learn more about their backgrounds HERE. Do Doulas have liability insurance? We have liability coverage for both our Birth and Postpartum Doula services. What does a Doula do at a prenatal visit? At the two prenatal visits that our Basic package offers, your Doula will spend time trying out different natural pain management techniques, movements, positions, and mindfulness techniques to help in labour. This gives us a good sense of what works well for you and your partner and how she can best support you when the big day comes. She will also explore your birth hopes and fears as well as discuss any other issues that may come up. What does a Doula do at a postpartum visit? Postpartum visits can vary. We can discuss how you feel about the birth. We can take care of your baby so you can sleep or get a shower, help with breastfeeding or teach you how to care for a baby. We will also do light housework such as dishes, and laundry. Will my Doula be my advocate? While a Doula is an advocate for you, we are unable to speak on you or your partners behalf to your medical caregivers. We can explain further what is happening in any given situation and provide information to encourage mom or partner to ask the right questions, ensuring everyone is on the same page and you feel empowered in whatever decisions you need to make. As professional Doula, Bronwyn and Melissa will never tell you what you should or should not do, but will tell you the pros and cons for each option based on evidence based information. Can a Doula help if I have an epidural? 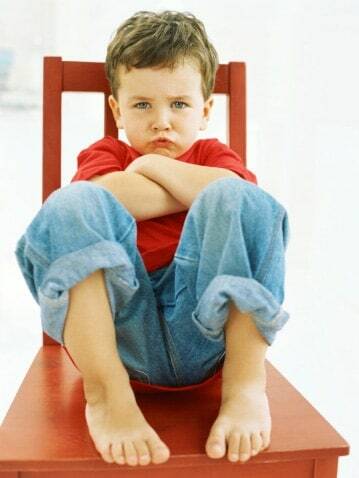 In many cases you are not always able to get an epidural as soon as you want one. While you are waiting your Doula is able to continue using natural pain management techniques to help alleviate your discomfort. Once you receive the epidural she will continue to provide emotional support. She will also help mom move from side to side for optimal fetal positioning and do massage for mom as skin can get dry during an epidural. Your Doula can continue to offer informational support if any other decisions arise. Can a Doula help if I have a Cesarean Birth? Whether a cesaraen birth is planned or not a Doula can still help. Your Doula is able to stay with you before you are taken to the OR. She can keep you and your partner calm and answer any questions you have. This can be an emotional time period. After the cesarean she will be in the recovery room and can help with breastfeeding and bonding with baby. If baby needs to be taken to the NICU your Doula can stay with mom while partner goes with baby so that mom is not alone. What if the Doula is unable to attend my birth at the last minute? We take turns being on call for several days at a time so you always have a refreshed Doula available to attend to you during your labour. If your labour is longer than 24 hours, the other Doula will take over, ensuring that you always have a rested Doula that you know and feel comfortable with to support you. We still retain the services of a backup Doula in the case that we are not able to attend your labour right away. We will share your back-up Doula’s contact information and bio so that you can meet with her before your birth if you so wish. By working with Bronwyn and Melissa together, you have the benefits of the wisdom and knowledge of two doulas. We work in a “shared-care” model, rotating on-call time with client appointments and communication. Communication: All text and email support is done as group communication with both of us. Both of us respond therefore giving you different perspectives and wisdom to help you make decisions and feel more comfortable with any issues that may arise during your pregnancy, birth, and postpartum experience. We regularly update each other on any phone calls, appointments, and birth details so that each doula is fully aware of your care. Appointments: We attend your pre and postpartum appointments equally, giving you an opportunity to know us individually. Again, we update each other on any appointments with you so that each doula is informed about your needs and care. Birth: We take turns being on call for several days at a time so you always have a refreshed doula available to attend to you during your labour. If your labour is longer than 24 hours, the other doula will take over, ensuring that you always have a rested doula that you know and feel comfortable with to support you. You will receive a copy of our on-call schedule for the time-period when your labour will occur as well as an invite to our google calendar that features this schedule.